The owner of the Milk House came to Mounts Hill Woodcraft with the design for this magnificent table with its attached bench seats. 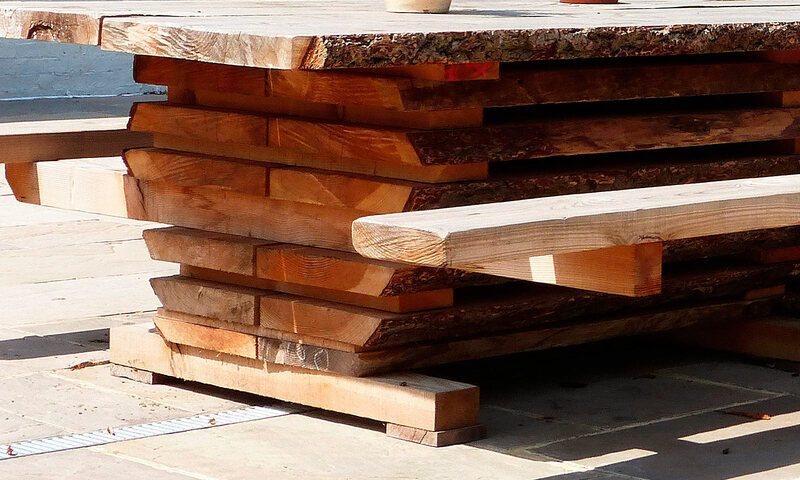 We manufactured it using slices of a whole Douglas Fir tree trunk. The table is 7 metres in length and it will sit at least 35 people. We had to deliver it using our old tractor and trailer! 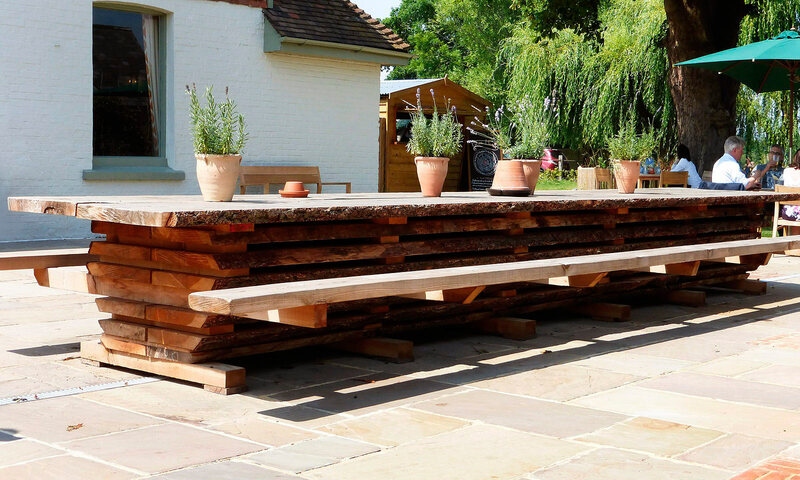 The table is now in full time use in the garden of 'The Milk House' pub in Sissinghurst.